"Ewww! Stitch!". 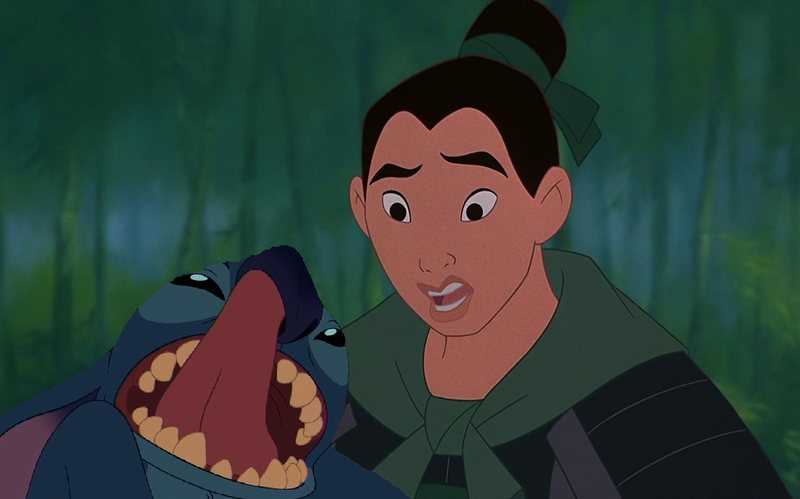 Mulan needs to teach Stitch how to act in public!. HD Wallpaper and background images in the disney crossover club tagged: disney. 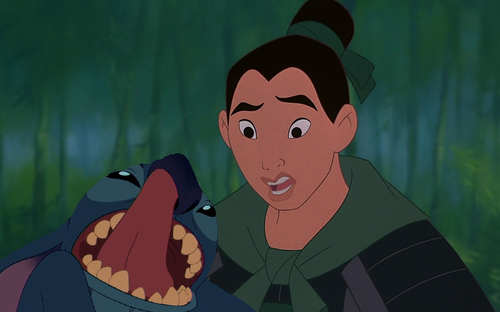 Mulan needs to teach Stitch how to act in public!